We just finished one of our favorite invitations for a lovely bride and groom getting married in Prospect Park in May. 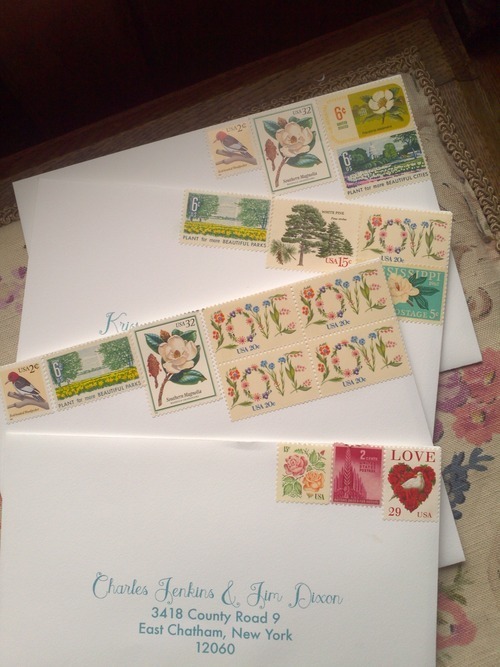 We just loved how she used vintage postage stamps for her envelopes. Look how beautifully it turned out! Wouldn’t you love to get that in the mail?